Bento 4 for Mac is now available for Mac for $29 with a $20 instant upgrade rebate for owners of previous versions. The software can also be purchased from the Mac App Store at its regular price of $49.99, and a family pack of five licenses costs $99. Bento 4 adds the ability to print labels, export libraries with data, automatically add geographical locations to records, and to lock down forms. 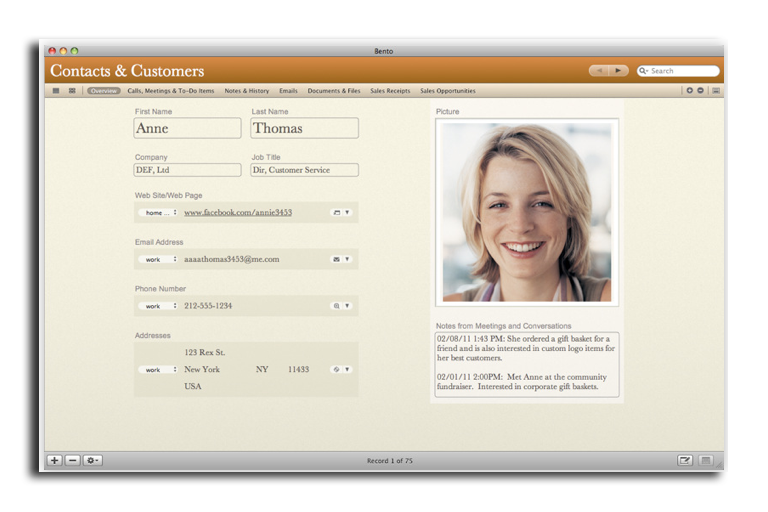 FileMaker Inc., a software subsidiary of Apple, declared that Bento 4 is the next major step for the personal database software. "People just love the way Bento helps them organize their lives —especially their work tasks like managing contacts and tracking projects," said Ryan Rosenberg, vice president of marketing and services for FileMaker, Inc. "We've enhanced the entire product line: Bento for Mac, Bento for iPad, and Bento for iPhone to provide you with a major productivity boost at your desk and when youre on the go." Along with the release of Bento 4, Bento 1.1 has also been issued for the iPhone and iPad. Each application costs $4.99, and has been updated with the ability to record voice memos and sync iCal tasks. The latest version also has improved multitasking, and support for the iPhone 4 retina display. Bento 4 for Mac adds the ability to create custom labels, or choose from more than 250 ready-to-use Avery and Dymo label formats for mailing labels, inventory tags, name badges, file folders and many other uses. 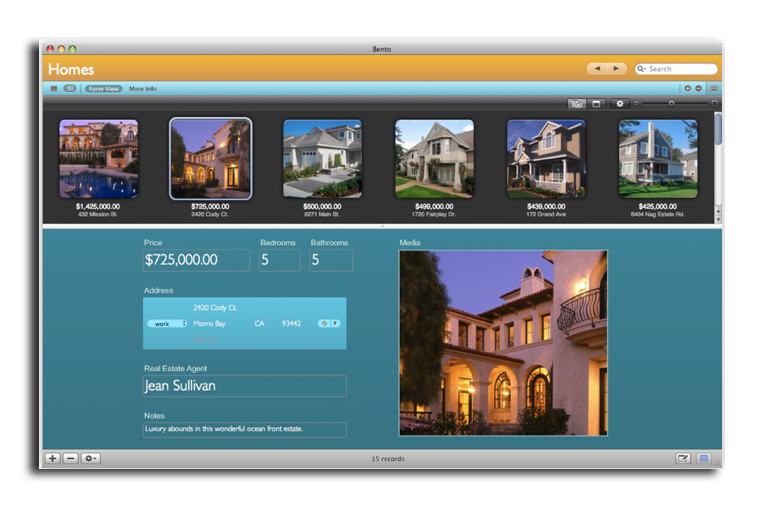 Labels can be customized with information from your database and with images. Sharing databases has also been made easier using Bento 4. Users can now export Bento libraries populated with data and share these with other users, and sending a complete library to another Bento user is as easy as emailing a file. Users can also share ideas by sending custom Bento templates directly to the Bento Template Exchange from within Bento 4. The Bento Template Exchange features over 800 free downloadable templates that bring to life the huge variety of uses for Bento. Bento 4 is also said to be faster and easier to use. With faster launch times, the new version allows users to lock forms to prevent unwanted changes to a layout, easily switch from Table view to Form view, search by date ranges, and automatically create media fields. Bento 4 will automatically capture locations where activities occur. With the addition of a new location field type, the software will automatically log a user's exact location using Wi-Fi, GPS, or cell tower triangulation, depending on which Mac or iOS device they may be using when entering or modifying a record. Automatic location fields can record the location of site inspections, log customer visits, track travel sites, or capture survey locations.